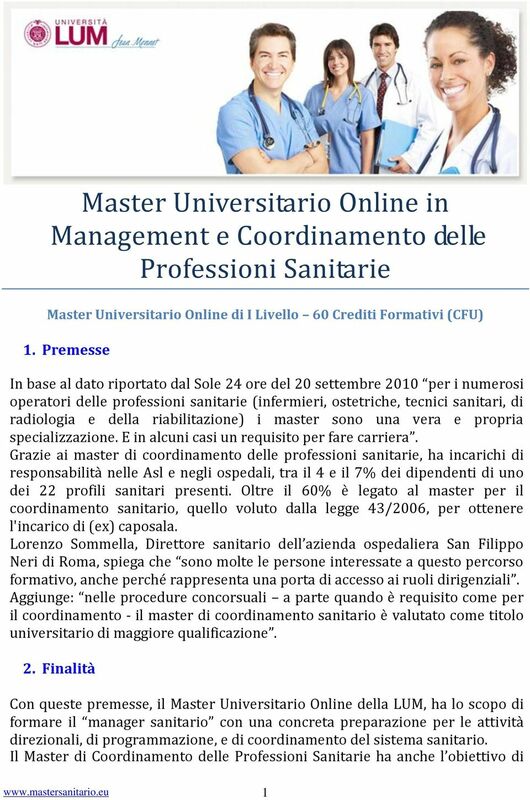 Download "Master Universitario Online in Management e Coordinamento delle Professioni Sanitarie"
GUIDA AL TIROCINIO FORMATIVO. Master Universitario in MANAGEMENTE E FUNZIONI DI COORDINAMENTO DELLE PROEFESSIONI SANITARIE. a.a.